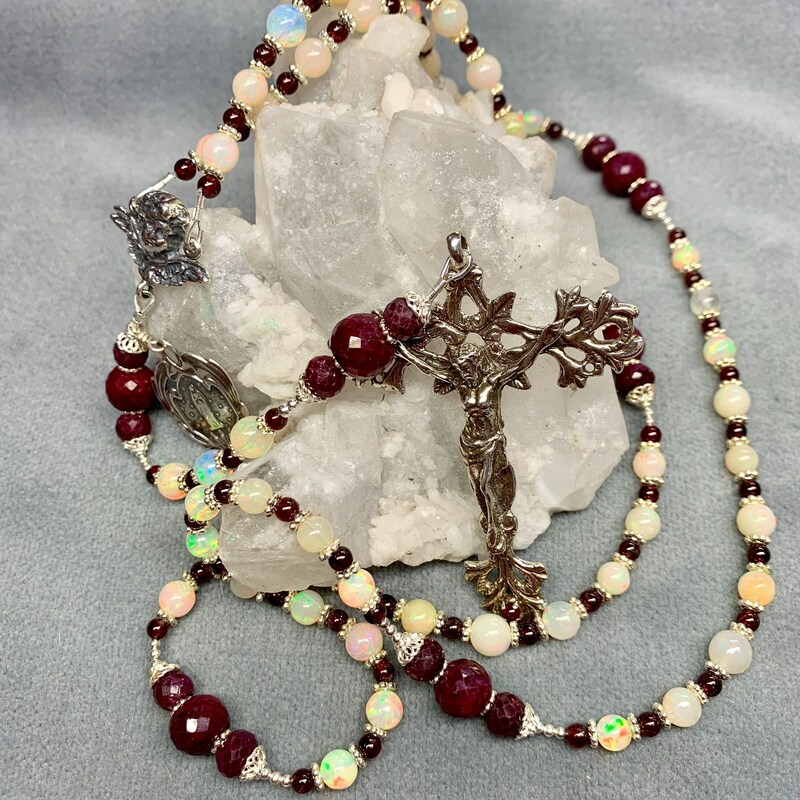 Top grade Opal with extreme flash meets large, beautifully colored, genuine Ruby in this unique, one-of-a-kind hand made heirloom Rosary. Each Opal shows flash in red, green, blue, orange, and each Ruby rondelle is richly, deeply red. Round 4mm Garnets separate the Hail Marys. The Crucifix has, at the foot of the Cross, a garnet symbolizing Christ's last drop of blood, shed for us. The center is a Raphael Cherub, and we have included a Miraculous medal also. 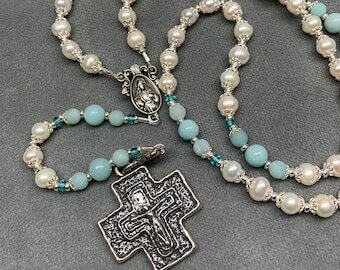 Rosary has been strung on sturdy 49-strand, 40# steel cable and double crimped for durability. 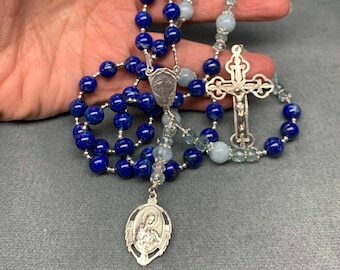 This is a more substantial Rosary than the typical commercial Rosaries due to the weight of the Ruby and the heavy Crucifix— yet it is comfortable to hold and pray. Also, the slightly larger Our Fathers let you know you have completed the decade and make it easy to pray in the dark. 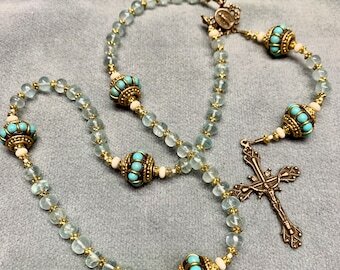 As always, this Rosary will arrive boxed in silver and in a beaded organza gift bag, ready for presentation.